Liv Sport Pedals are a lightweight (310g per pair) aluminium pedal with strong Cro-Mo axles, featuring 5 replacable and adjustable pins per side for grip and sealed cartrdige bearings for smooth and durable spinning. Giant Liv Sport Pedals Womens. 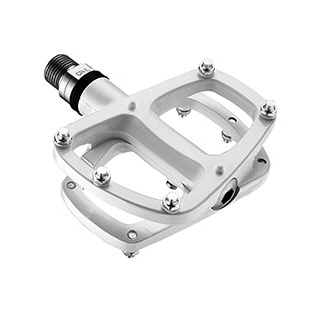 Liv Sport Pedals are a lightweight (310g per pair) aluminium pedal with strong Cro-Mo axles, featuring 5 replacable and adjustable pins per side for grip and sealed cartrdige bearings for smooth and durable spinning.